This episode in my opinion is the best one of the lot. Impossible to choose I hear you cry, well I agree but if I had to choose one......this is it. The acting in this particular episode is spot on and from the minute they visit the house that is up for sale is extremely funny. As they walk through the front door of the house Harold cries "We'll take it" with Albert replying "it's the first one we've looked at and we haven’t looked at it yet". When Albert, Harold and the estate agent walk into the bathroom and you see Albert's face drop as he look at the toilet "IT’S BLACK......A BLACK BOG". I laugh out loud every time I hear it. 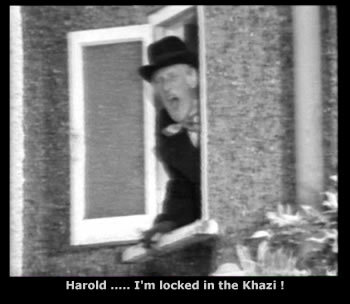 With other classic Steptoe lines as "Where do you put your dead bodies when you have a funeral" and "Harold, I'm locked in the kazi"
The best thing about this episode is what we all knew right from the start, the house in Oil Drum Lane was never going to be sold. The Steptoe's are on the move. It's not a decision that makes everybody happy. 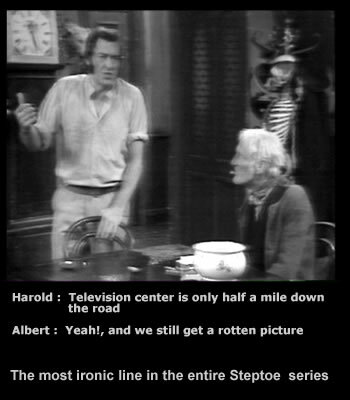 Buy the DVD to see if the Steptoe's finally leave Oil Drum Lane.